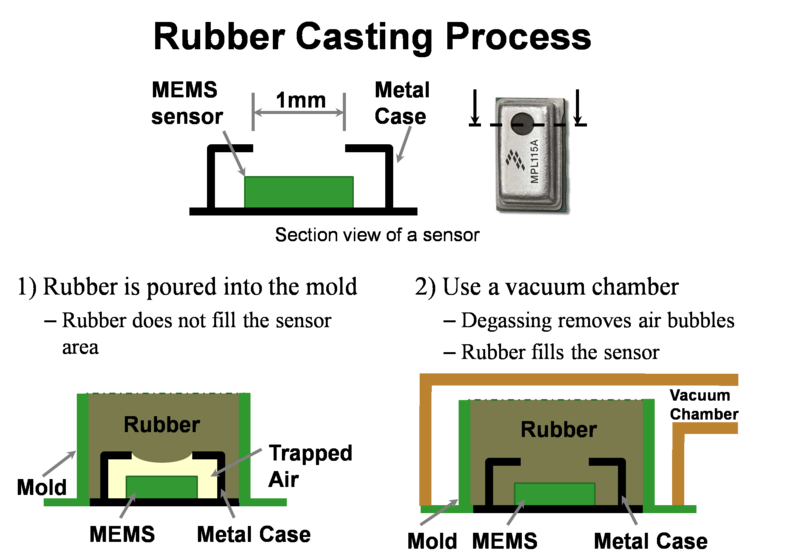 Y.Tenzer, L. P. Jentoft, R. D. Howe Inexpensive and Easily Customized Tactile Array Sensors using MEMS Barometers Chips, IEEE Robotics and Automation Magazine, in press, 2014. MEMS barometers have found widespread application in consumer mobile devices such as GPS locators, where they are used for altitude calibration. Because of this, we're able to leverage the same drivers that caused the Kinect to revolutionize Computer Vision — consumer scale applications bring dramatic economies of scale, and the cost savings are maintained when the devices are repurposed to robotic applications. 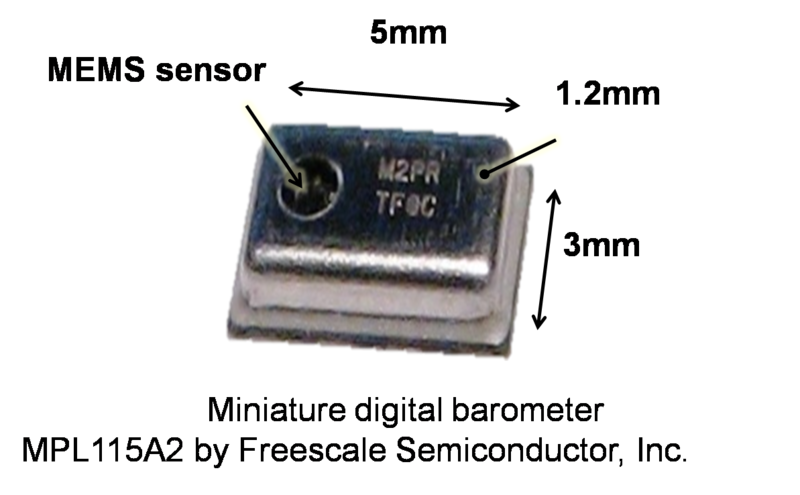 We have been using the MPL115A2 from Freescale (datasheet here). 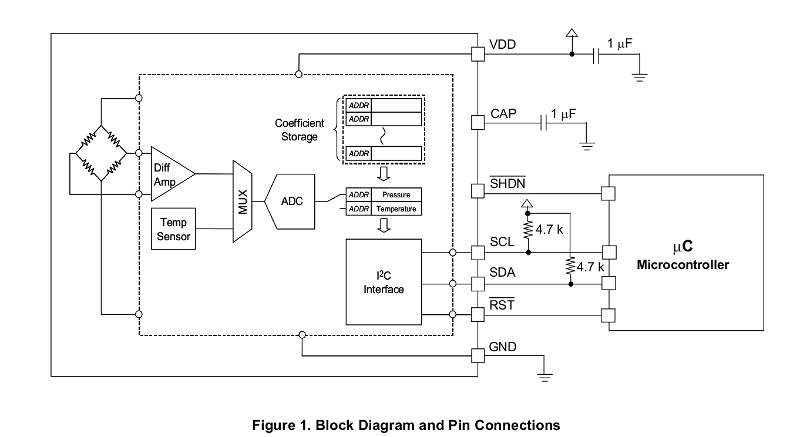 The chips consist of a MEMS diaphragm with a Wheatstone bridge, a instrumentation amplifier, a temperature sensor, multiplexer, analog-to-digital converter, and I2C bus — all for ~$1 USD. 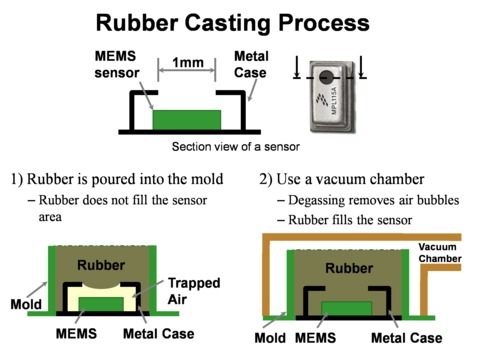 This diaphragm is cast under rubber, and vacuum degassed to bring rubber against the diaphragm. This greatly improves consistency and sensitivity.